Go to Amazon for reviews on this book. It is a fact-based novel of psychiatric abuse. 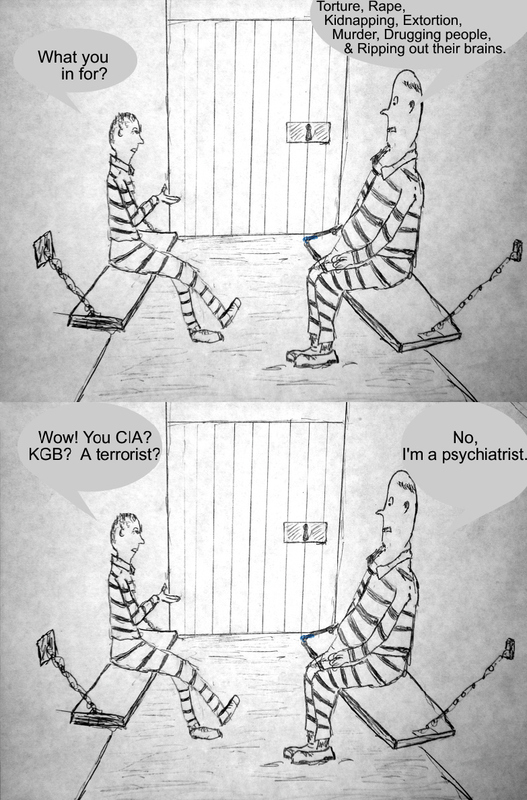 but the psychiatrist’s methods just stunk. and my mind just went vacant and numb. The following quote is by Benjamin Rush, the first President of the American Psychiatric Association. I don’t know about you but I would not want someone trained with this point of view to see to the mental or physical health of my child. “Terror acts powerfully upon the body, through the medium of the mind, and should be employed in the cure of madness”.